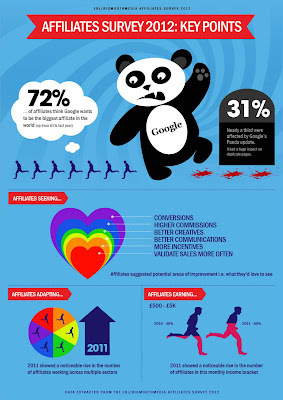 Bigmouthmedia has just published some of the insights from our second survey of UK affiliates. There was an iPad 2 up for grabs and the survey received plenty of responses. The design of the survey was to let us ask useful questions about the here and now in order to better inform our affiliate management but some questions do allow for a “last year / this year” comparison. In particular, I found the comparison of what affiliates wanted the most from last year to this to be useful. Each year affiliates could have asked for more cash – higher commission – as their number one request. Once again the affiliate community has rejected that in favour of working with brand sites that are better at converting traffic to sales. It makes sense; a site may double its commission from 3% to 6% but that makes no difference if only a tiny number of visitors to the site actually become customers.